With the slogan “you press the button, we do the rest,” George Eastman put the first simple camera into the hands of a world of consumers in 1888. In so doing, he made a cumbersome and complicated process easy to use and accessible to nearly everyone. 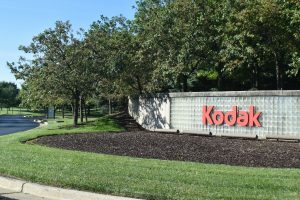 Today, Kodak’s Kettering facility employs approximately 500 people and focuses on commercial inkjet printers.